It seems strange to have been away from this page for so long, only to find time to come back after this weekend with all the sanity drained out of humanity. It almost feels like I need to start over. 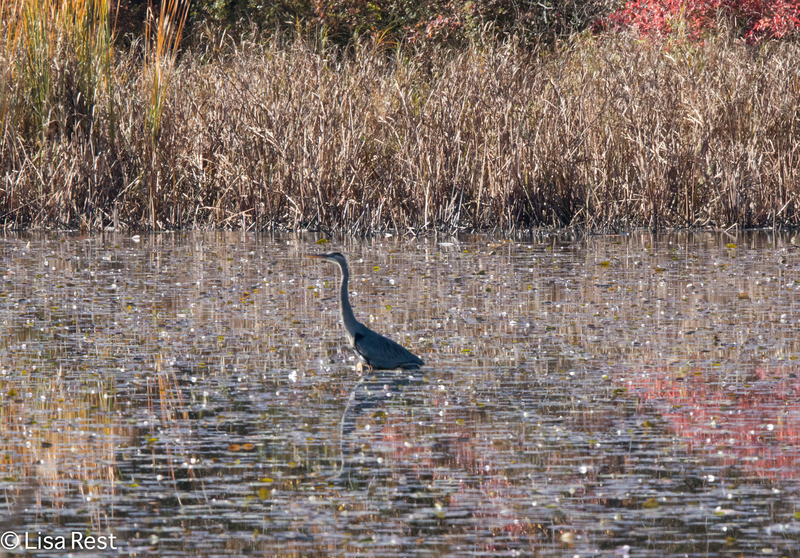 So I’m going with pictures from 3 weeks ago when I managed to get out to McGinnis Slough. 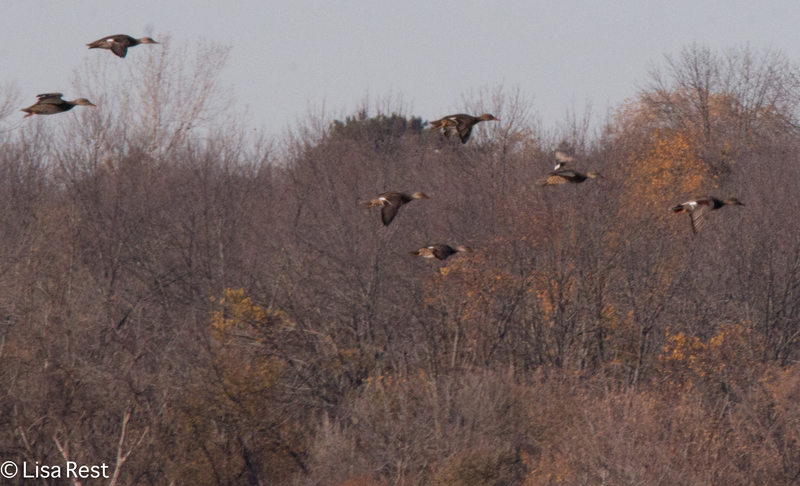 The problem with the Slough is always that most of the birds are usually quite far away and you need a scope to see them. So most of these pictures were taken a bit closer in. 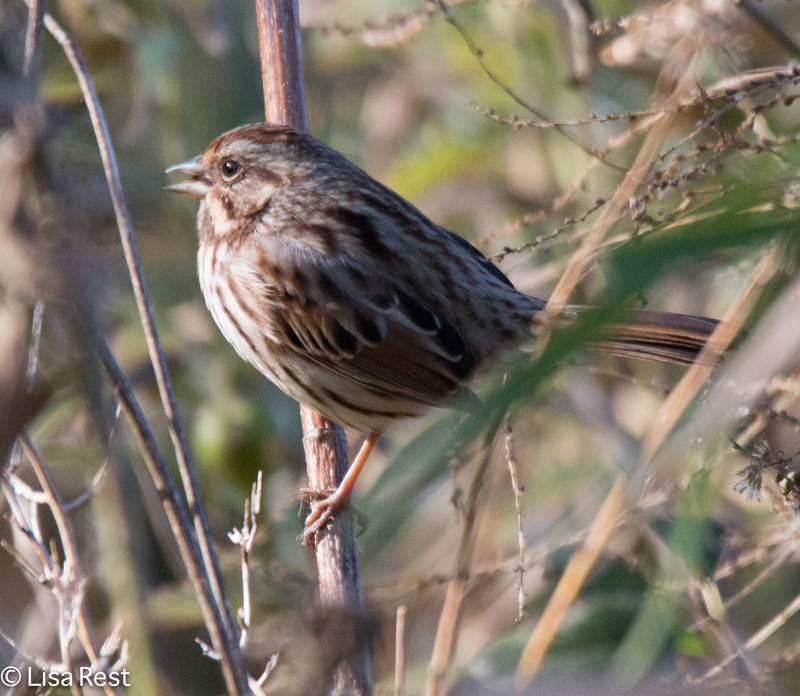 Like this cooperative Song Sparrow. 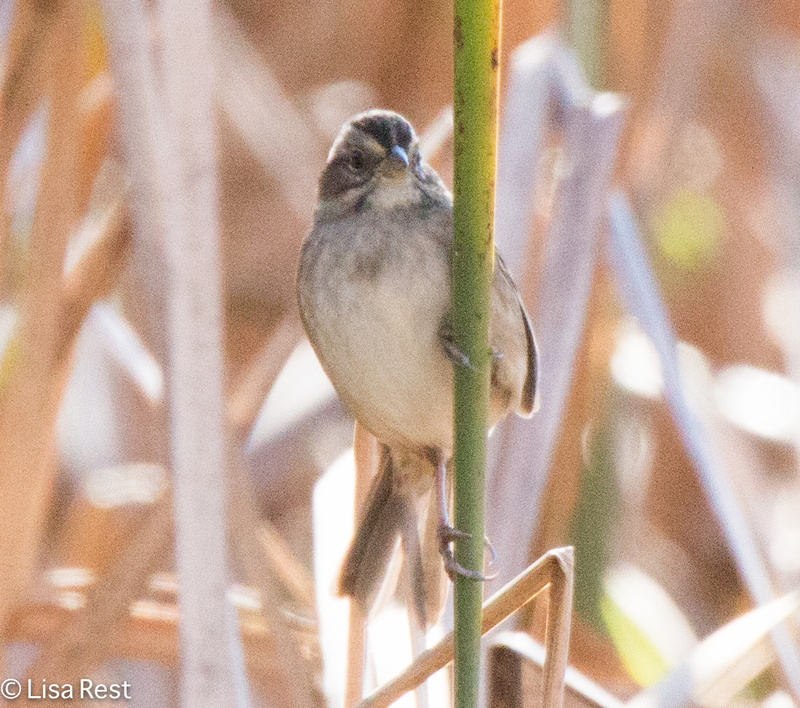 I didn’t realize this was a Clay-Colored Sparrow until I started going through the pictures. A nice surprise, don’t see this guy too often. 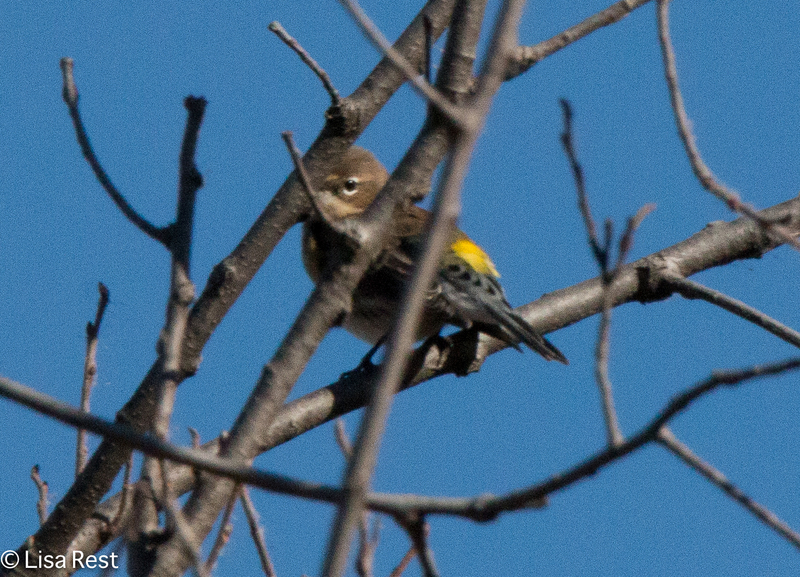 And this was one of the last Yellow-Rumped Warblers I saw this year. 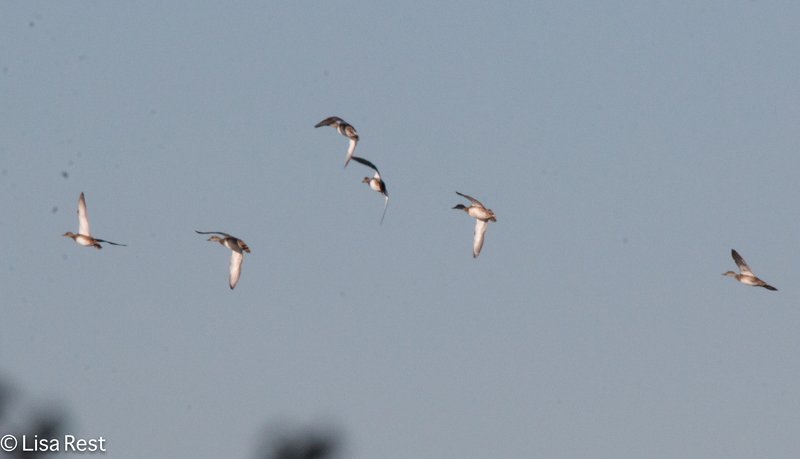 I guess in the photo below, if you’re going to see the rump you aren’t going to see much else…! 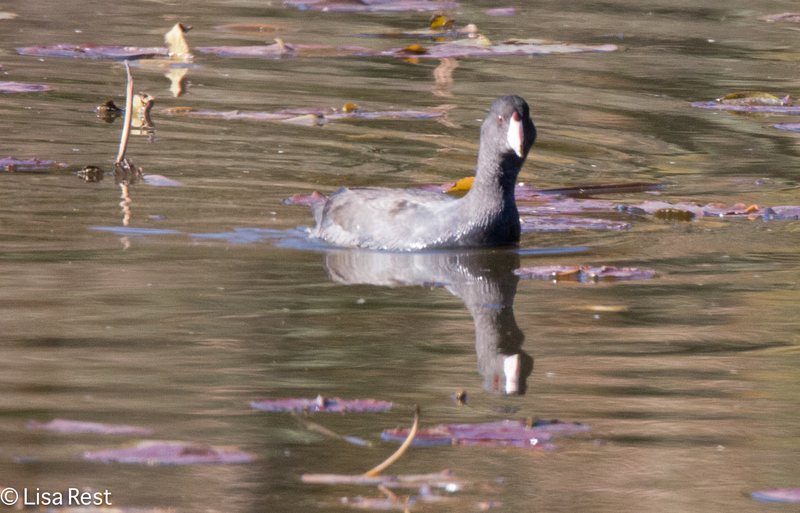 There were about 400 American Coots at the Slough that day, and here’s one of them. 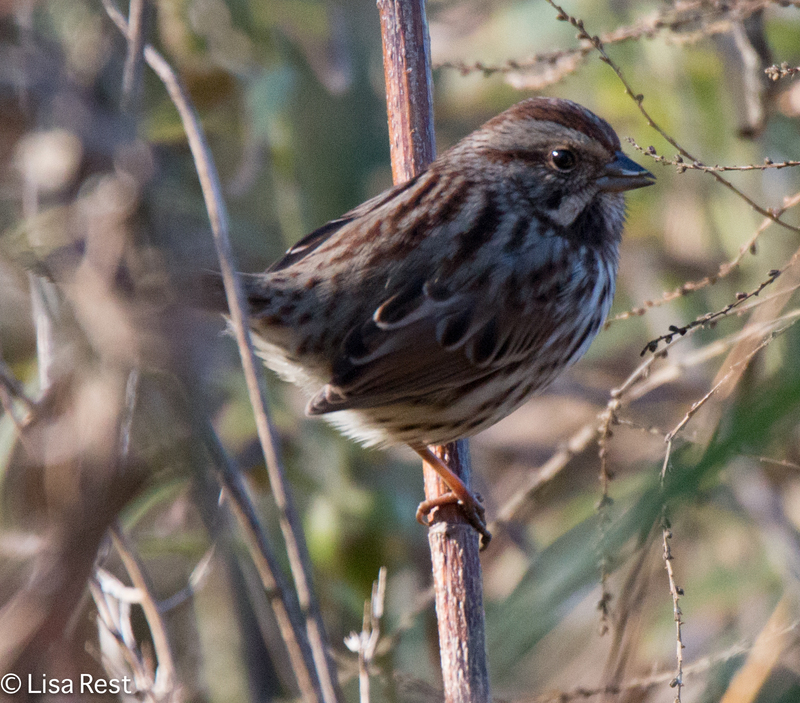 One more time with the Song Sparrow. 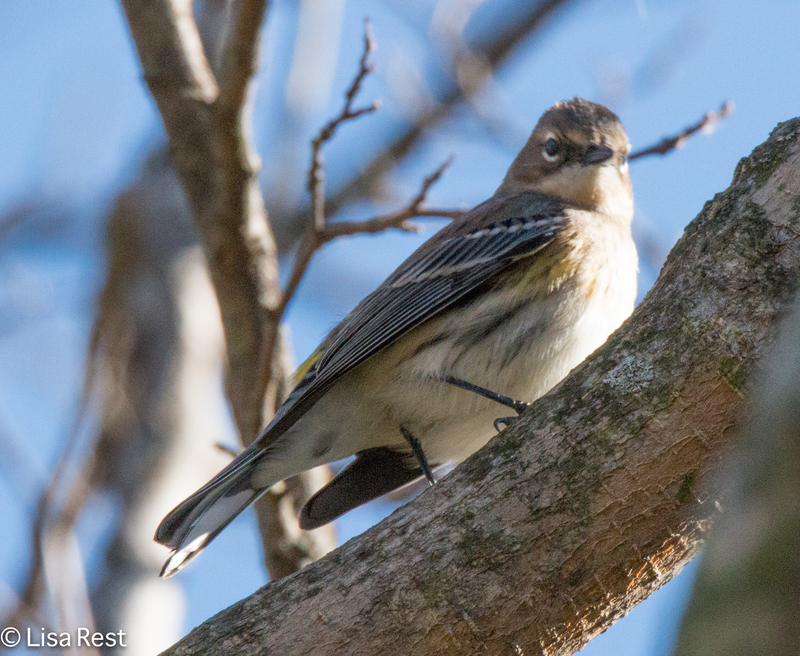 I picked up my annual bird seed order from Chicago Audubon yesterday: I try to buy enough to last through the winter. Was greeted by Bobbi who was helping distribute the orders, and we got to discussing international travel (we were both with a group in Australia back in 2009). And then she told me she came back from a month in Paris only a few days ago. The world just shrunk that much faster. 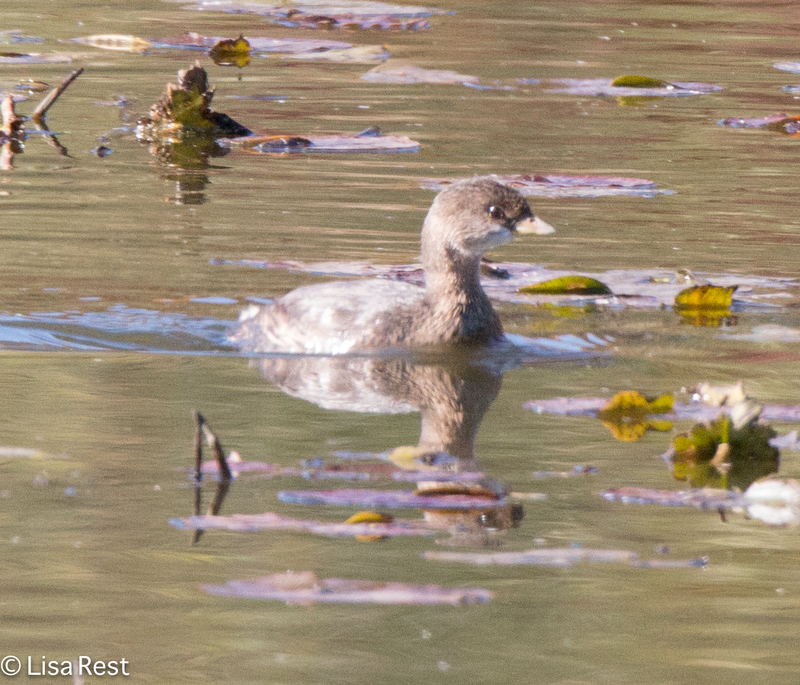 This entry was posted in birding, birds, Sparrows and tagged American Coot, Clay-Colored Sparrow, Cook County Forest Preserves, Gadwall, Great Blue Heron, McGinnis Slough, Pied-Billed Grebe, Song Sparrow, Yellow-Rumped Warbler by Lisa Rest. Bookmark the permalink. Hi, H.J.! Thanks for your comment. Sorry I’ve been incognito. We had a couple days of cold and then it warmed up again, somewhat, but I think by this weekend we will be freezing overnight and we’ll stay cold. So far for today and tomorrow though we’re supposed to get rain, not snow!